We empirically explore the differences between early stage entrepreneurs from the Danube Region who enter markets with high competition (red oceans) or low competition (blue oceans) in terms of their aspirations for innovation, internationalisation and job growth expectations. The data are derived from the 2013 Global Entrepreneurship Monitor Adult Population Survey. We build a binary logistic regression model assuming that the criterion variable—perceived level of competition—is a linear combination of four predictors (product innovation, process innovation, export intensity, and job growth expectation) and five control variables (age, educational level, gender, knowledge, skills and experiences, and country). 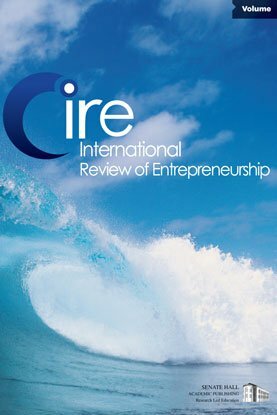 The findings show that early stage entrepreneurs who innovate, are internationally oriented and aspire to create new jobs are overrepresented in markets with limited competition (blue oceans). We also find that gender, age, educational level, and knowledge, skills and experiences are no significant indicators of an early stage entrepreneur’s decision to enter a market with low competition (versus high competition).